Anyone have a screenshot or text of their extrusion settings for a Bondtech BMG, E3D (non-Bowden / direct) and Simplify3D software for PLA? Any similar setup would help as well, I'm looking for a good place to start since I'd usually used bowden setups. 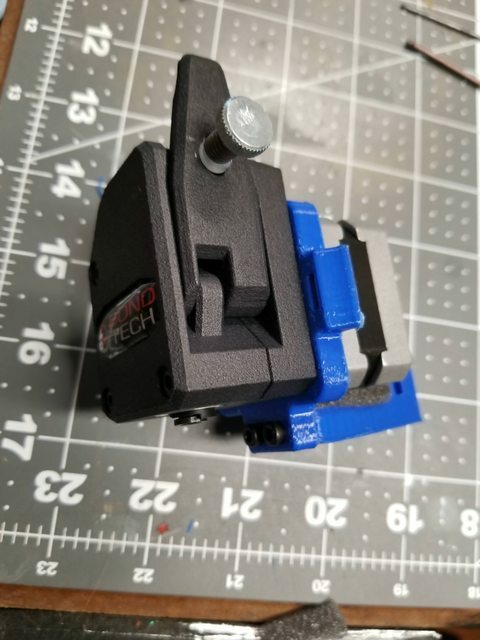 Not sure but I got a Bondtech BMG for my floating extruder - what settings did you use on your max metal for that one? So my Delta has a Bowden setup with the Bondtech QR. I used around 4.5mm retraction distance, but that was with Capricorn XS bowden tubing (which lets you retract less in Bowden setups - I've used up to 6mm retraction previously). Probably start with 2mm retraction and work up to 6mm in 0.5mm increments if it's Bowden. Interesting, maybe I should turn up the retraction speed then. Cool, i have Capricorn as well, can't remember off the top of my head it it's xs or tl though. Also is your QR mounted I assume? You got some tweaks? What is the speed difference between direct and bowden on a hypercube?